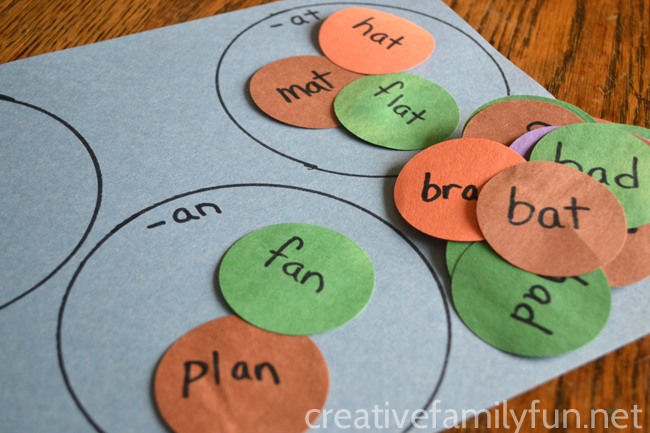 We’ve been practicing sight words a lot lately. Have you? 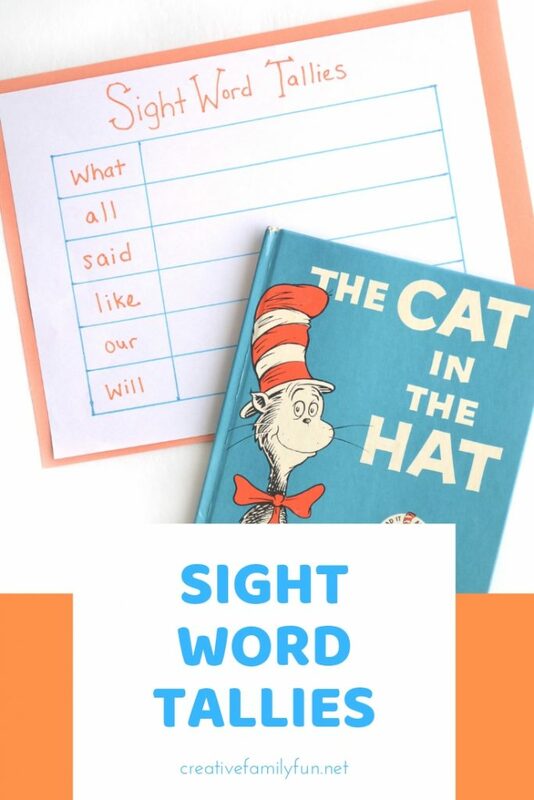 They’re so crucial to reading and a good knowledge of sight words can help your kids grow into strong readers. To create the game, I started out by making my bats. I wanted a bunch of sleeping bats hanging upside down so I drew a quick template on a piece of cardboard from my recycle bin. 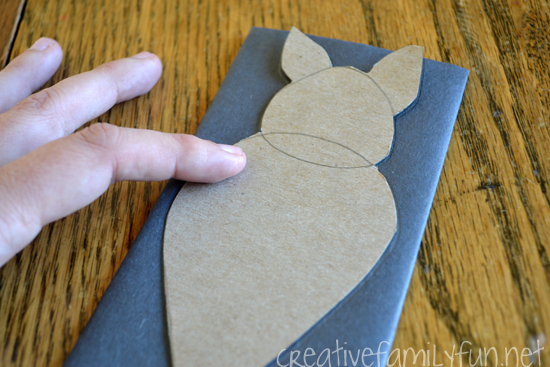 A cardboard template helps so much when you want to make several duplicate items. The bat template was super-simple to draw and I promise you can do it even if you don’t think you have any artistic skills. 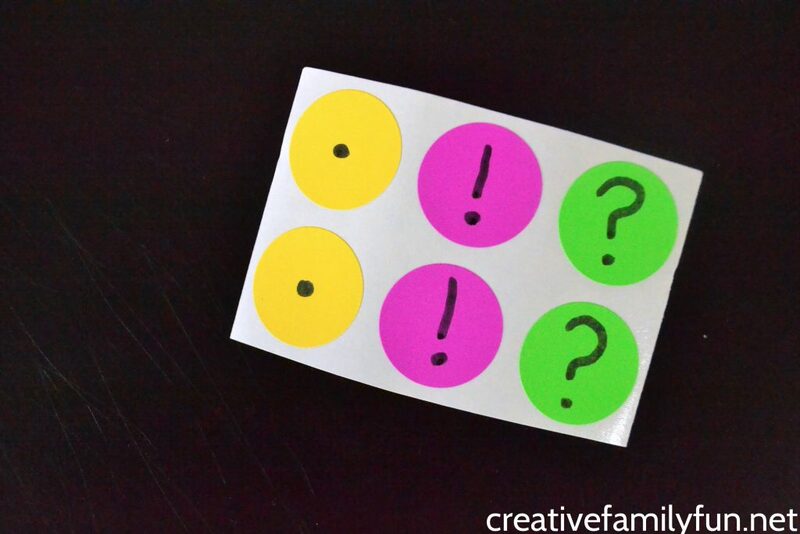 Check out my template below – it’s so easy! Start with a large teardrop shape for the body. Add a curvy triangle to the top overlapping the pointy end of the teardrop for the feet. 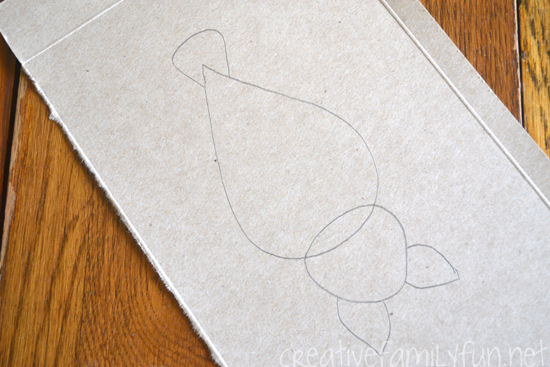 Add a circle with a slightly pointed top for the head. Finally add two pointy ears. Cut around the outline. Because I didn’t want to sit and cut out bats all day (and I know you don’t want to either), I folded a piece of black construction paper in half and then in thirds. I was able to trace one bat on the paper and cut out six at one time. So much easier! I did this twice so I had 12 bats altogether. I put a piece of rolled up painter’s tape on the back of each bat. Finally, I cut off a piece of brown wrapping paper and drew a simple cave opening. 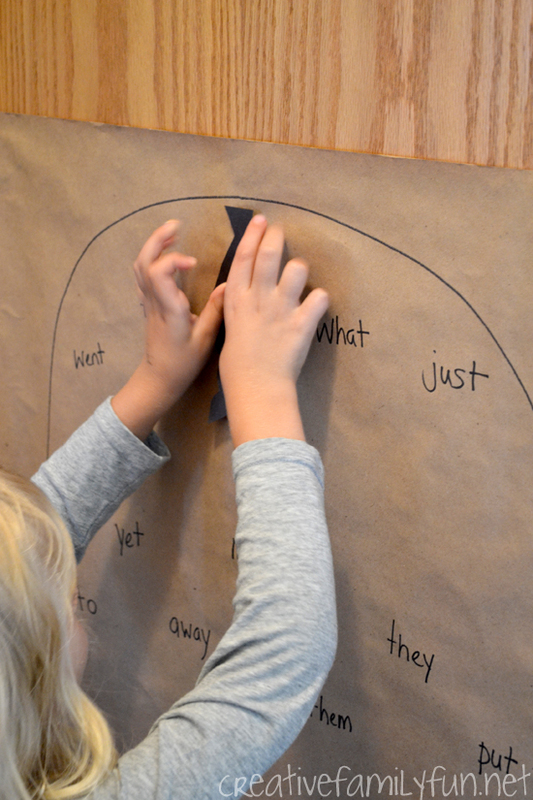 I then wrote 12 different sight words on the paper and hung the wrapping paper on a door. 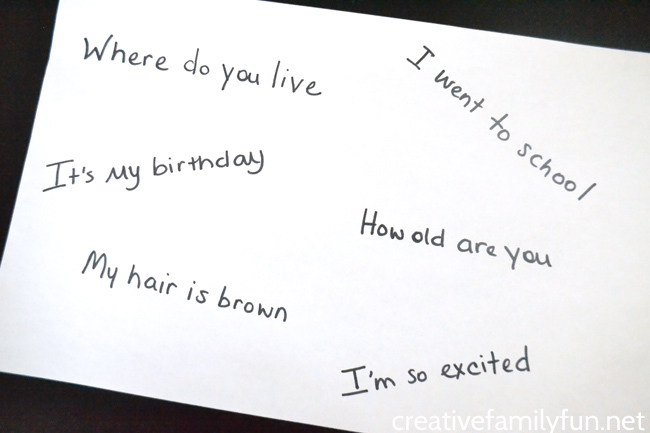 I chose words from a list of sight words my daughter’s teacher had sent home. 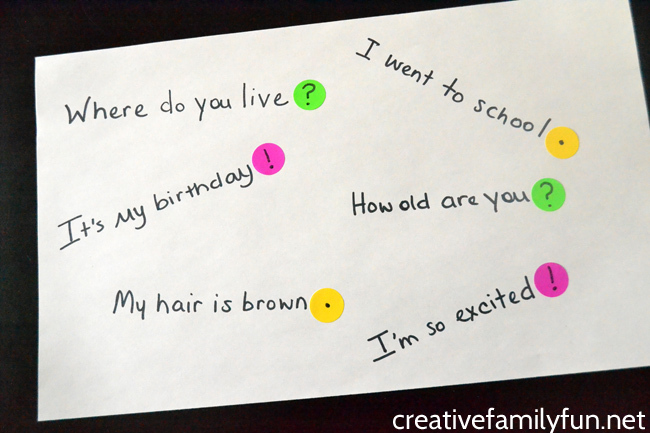 Pick words that your child is having difficulty with or just hasn’t learned yet. 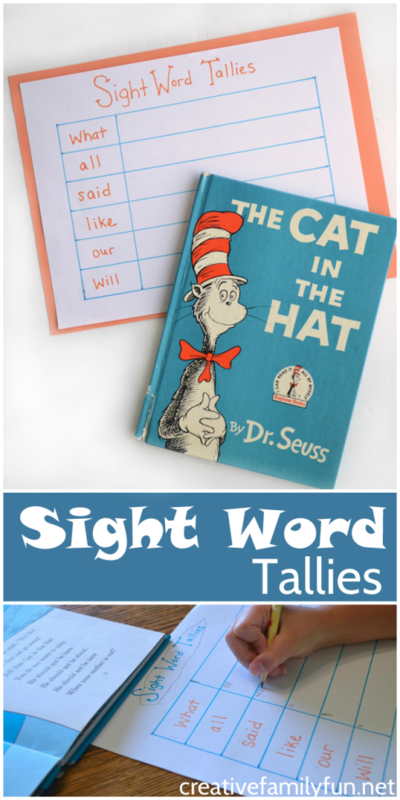 If you need some ideas, you can print off a list of all the Dolch sight words sorted by grade level here. I refer to this list all the time! 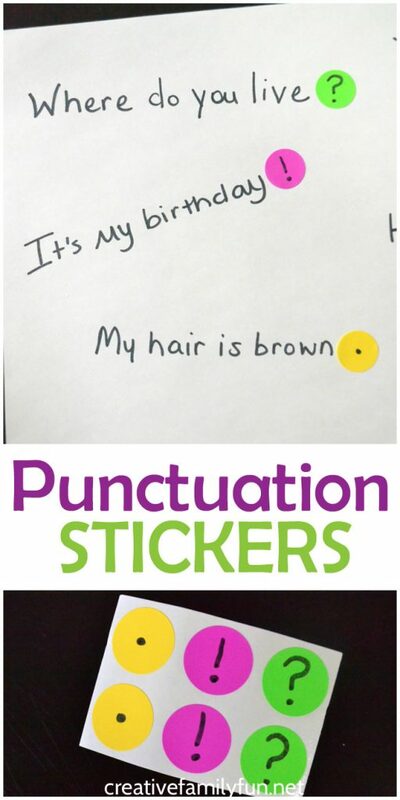 This game would also work with spelling words. 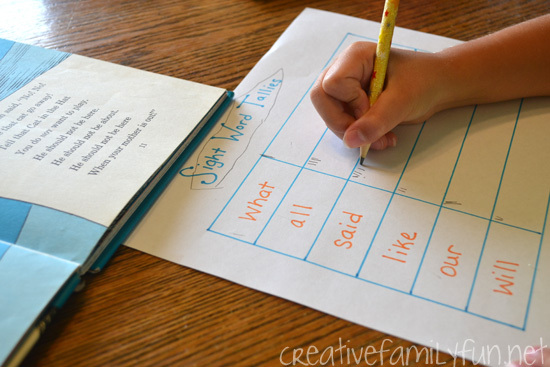 Hint: Lay the bats out on the paper before writing the words. 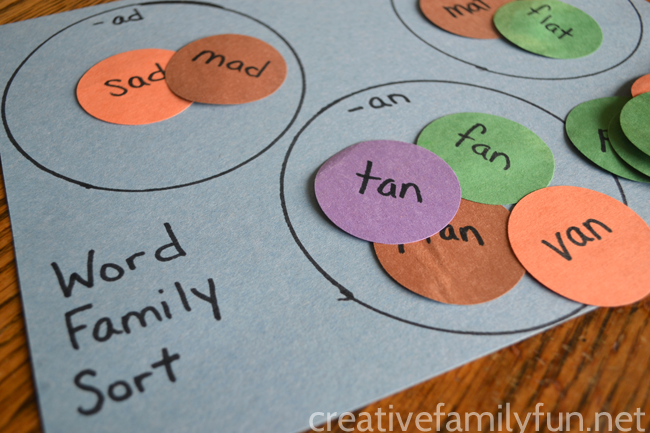 You’ll know where you need to put each word and not have to worry about getting them too close together. 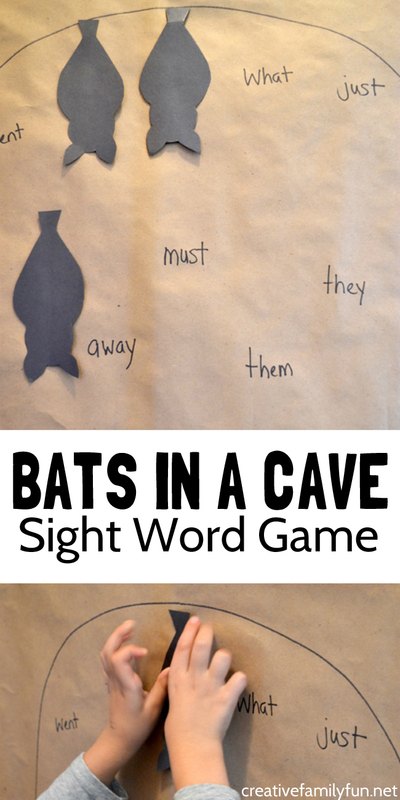 Now it’s time to play your bat sight word game! 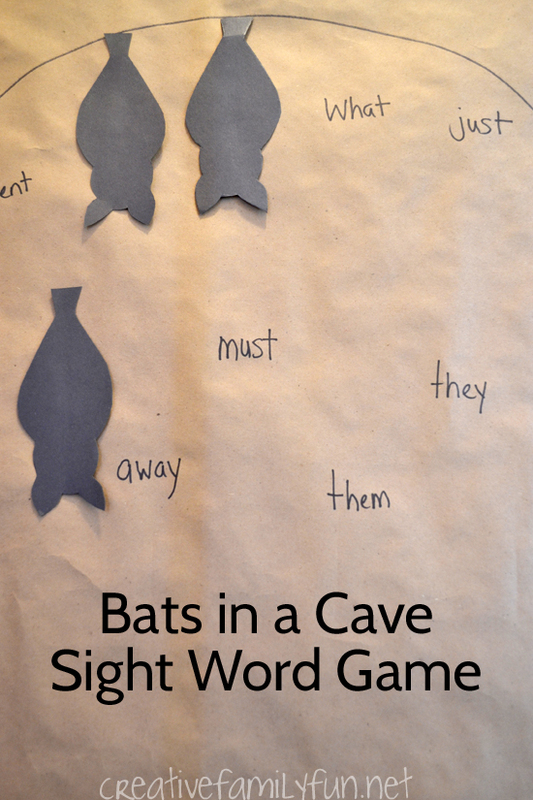 We played two different versions of a bat sight word game with this set up. 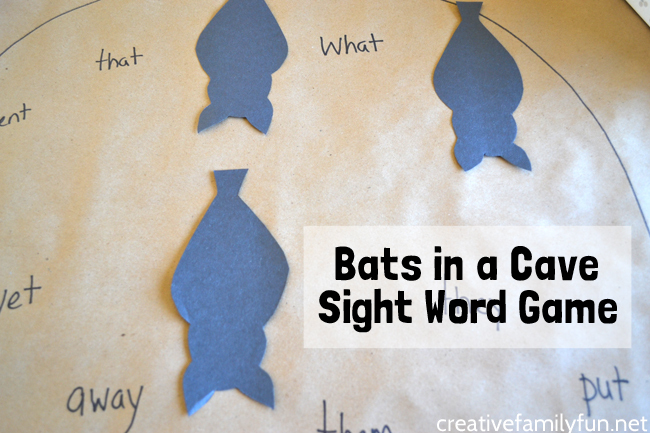 Call out a sight word and have your child find the word and cover it with a bat. When they’re done, they’ll have a cave full of sleeping bats. 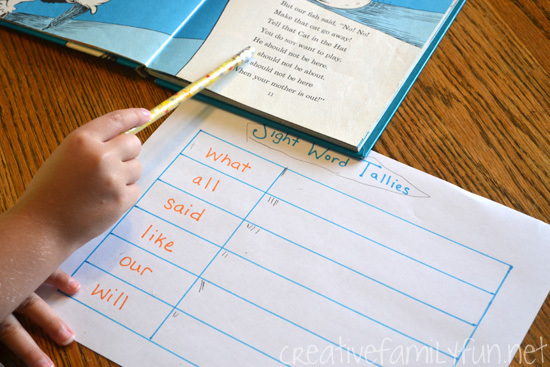 Have your child read each word out loud then cover that word with a bat. 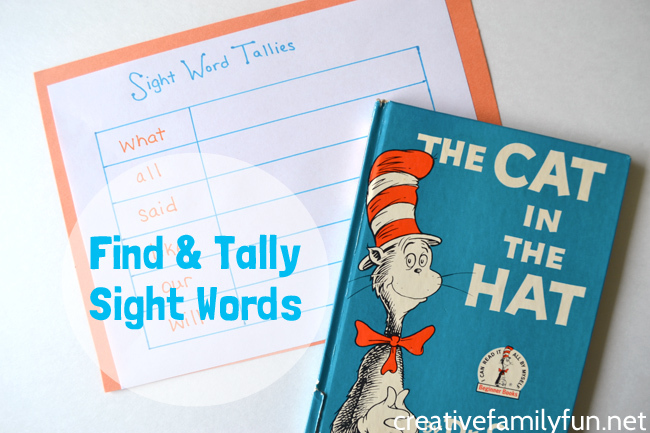 Both games are fun and great ways to practice a group of sight words. Note: This post was originally published on October 15, 2015. Updated and republished on September 14, 2018. Do you love shopping for school supplies? I do! 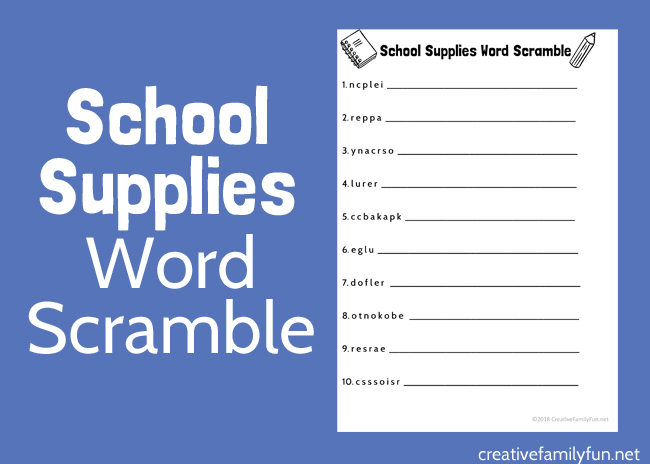 If you do, you’ll love this fun School Supplies Word Scramble printable for kids. It’s a perfect boredom buster for back to school time. 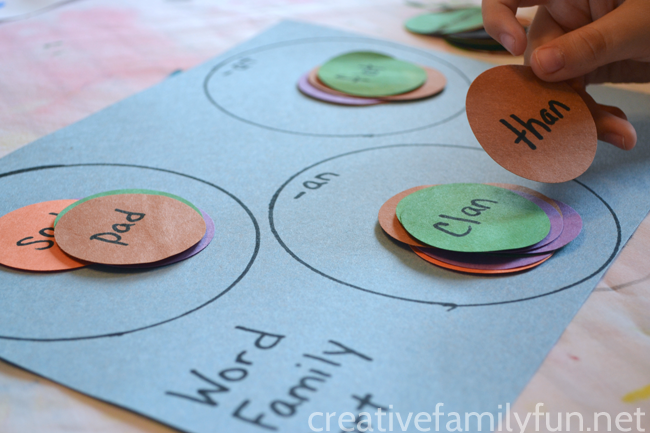 Do you know how to work a word scramble? All you do is look at the letters and try to rearrange them to spell a word. 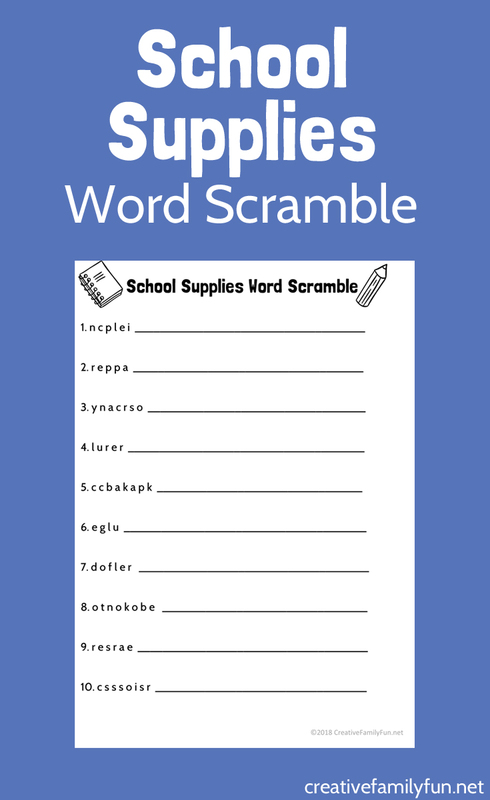 All of the words in this word scramble are common school supplies, such as pencil, ruler, and backpack. Can you figure out all ten words? 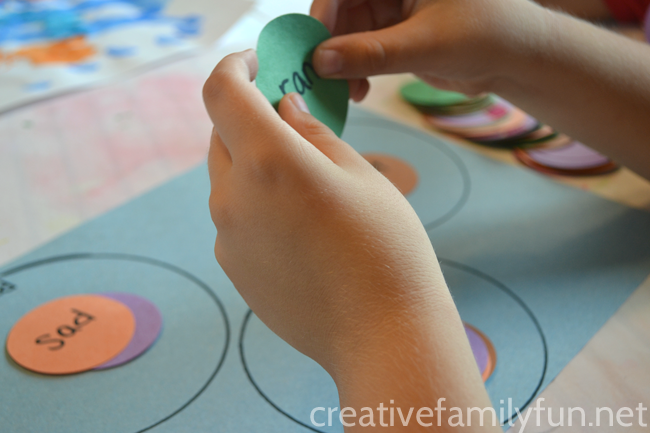 This quick and easy boredom buster will get kids thinking and solving puzzles. 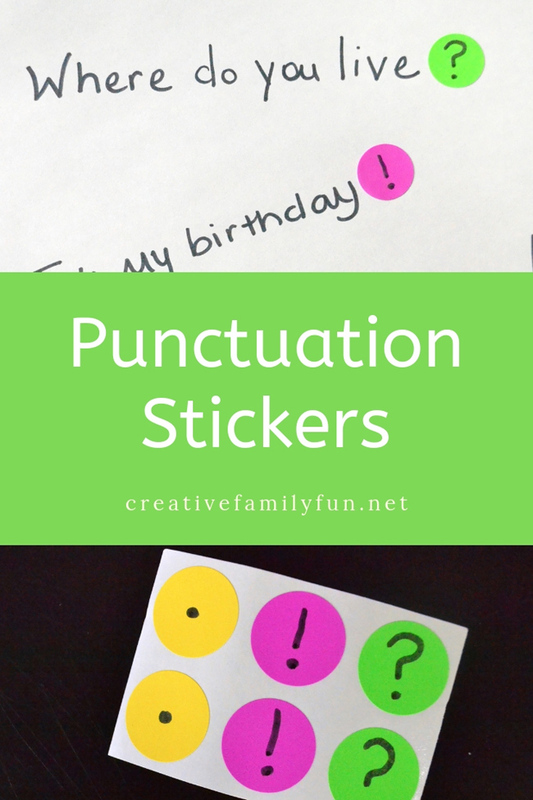 It’s great for the classroom, an afterschool wind-down, or to take along while waiting in a restaurant or doctor’s office. 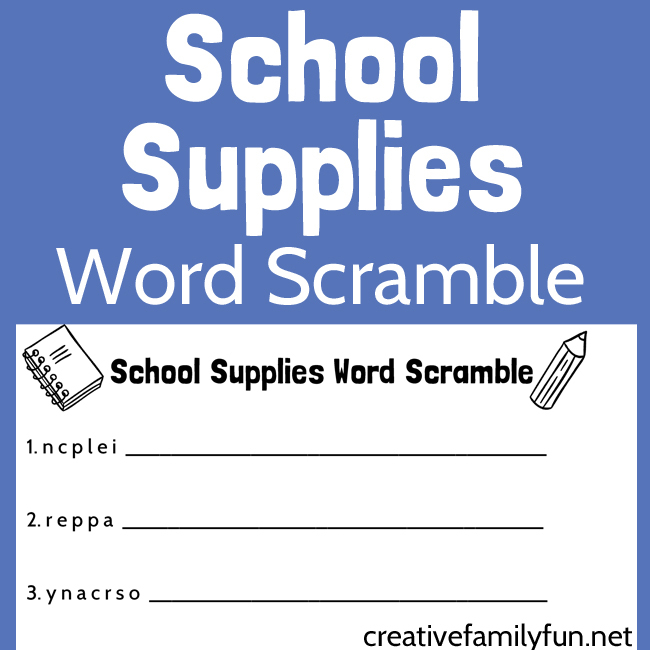 In order to have some fun, all you need to do is download and print this school supplies word scramble. It prints in black and white on one full sheet of paper. For your convenience, I’ve also provided an answer sheet. 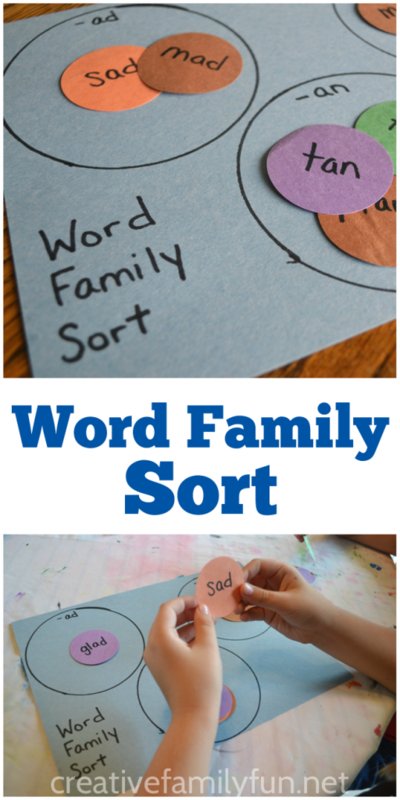 Download and print your word scramble here. Download and print your answer sheet here. You are welcome to print as many copies as you need for home or classroom use only. Please do not distribute for free or pay on your own website or business. Please do not include as part of a paid product. If you would like to use this for any purpose beyond classroom or home, please contact me here. 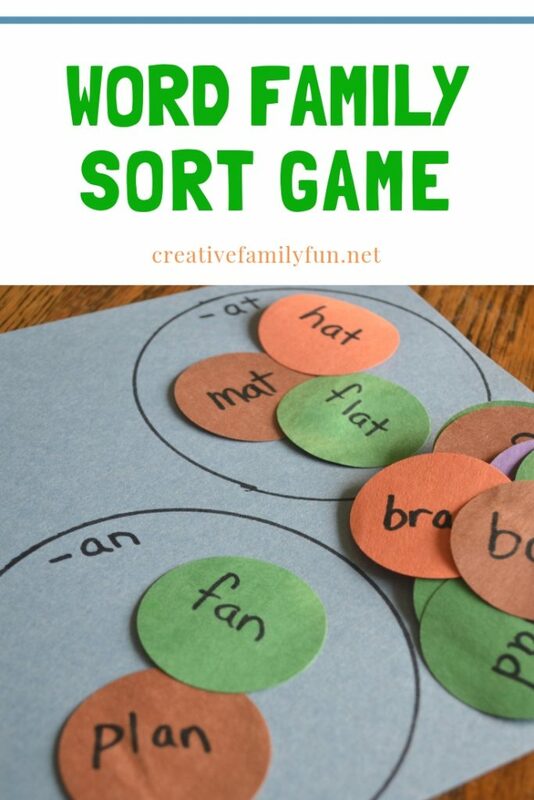 You can find all my word scrambles for kids at this link. You’ll find holiday and other fun ideas for all year round.